The R34 Skyline was released in May 1998 with a full model change. The late model R34 was released in August 2000 with a minor change. In September of the same year, production was switched from Murayama Factory to Tochigi Factory. 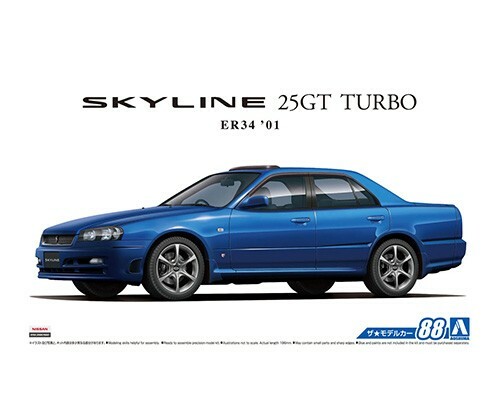 R34 became the final Skyline with legendary straight six-cylinder engine. 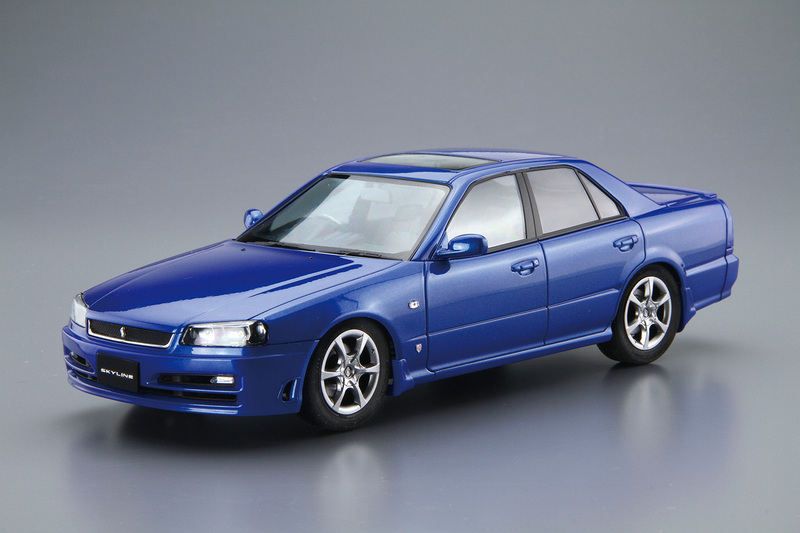 This kit replicates the late-model ER34 Skyline in its catalog specifications. Additionally to the standard model, the kit includes door visors, sunroof visor, and mud guard. 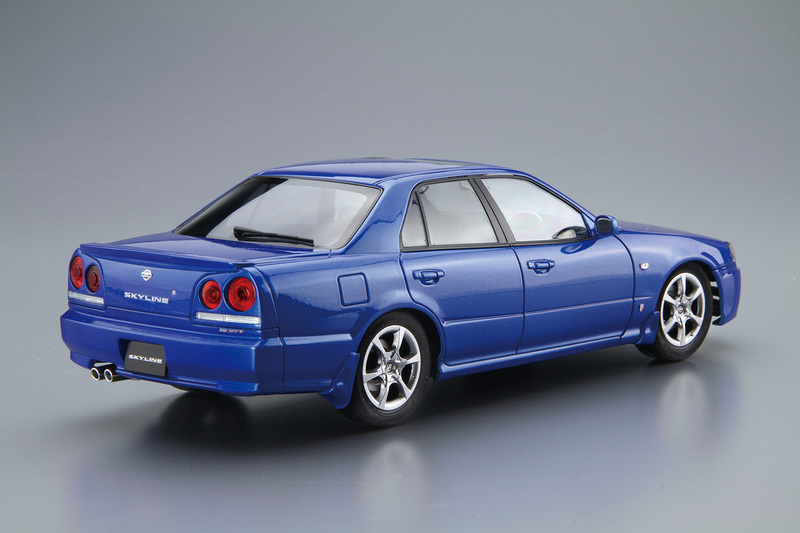 Also with optional genuine rear wing, metal seals and window masking seal included, you are able the build the ER34 Skyline of your preference.